Did you ever consider that who you were before may have been, well, a real jerk? And you may have accumulated some karmic blowback for who you are this time around. That's right. All those negative patterns you can’t seem to break. Relationship woes. Weird health stuff. Anxiety attacks. A string of bad luck. Even aspects of your appearance that you may not love. If you're honest, you may find you have a lot of issues. What if it ALL goes back to your last lifetime? Yeah. It’s all that guy’s fault! Now, what if you had the chance to meet up with who you were before and give him a piece of your (bleeping) mind? Let the a$$**le know what he did. How you’re still paying for his “good” time. Even more interestingly, what if the guy you once were holds the secret to understanding why you’re here now? 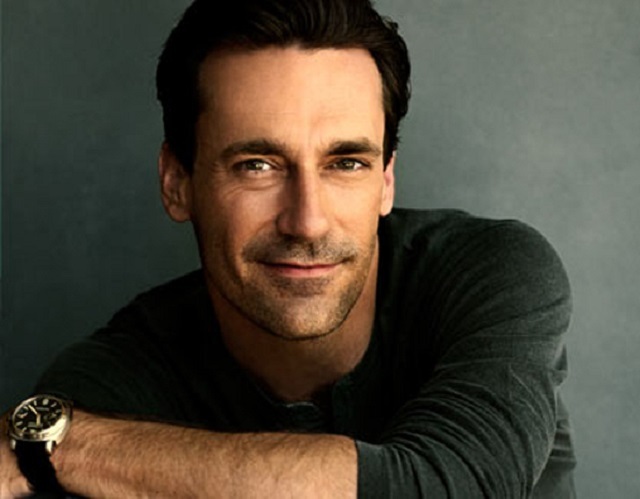 All screenwriting books say never to write for ONE PARTICULAR ACTOR, but we have to confess: We ALWAYS wanted to see Mellissa McCarthy and Jon Hamm in a romantic movie together. Was that too crazy of us? Or crazy awesome! Check out our log line. See if you don't picture Melissa and Jon right away! LOGLINE: After she’s left at the altar and goes on her Provence honeymoon alone, an American woman—who looks like she stepped out of a Dove “Real Beauty” ad—finds out that most of her problems were actually caused by the hot French guy she was in her last lifetime. Given an otherworldly opportunity to confront him, she’ll have to work with him to overcome the demons that haunt them both as they discover whether karma really can be transformed. Click the Issuu box below, to read the first 21 pages. When you want to read the rest, email us at: garagegirlsstudios@gmail.com. Breaking News! 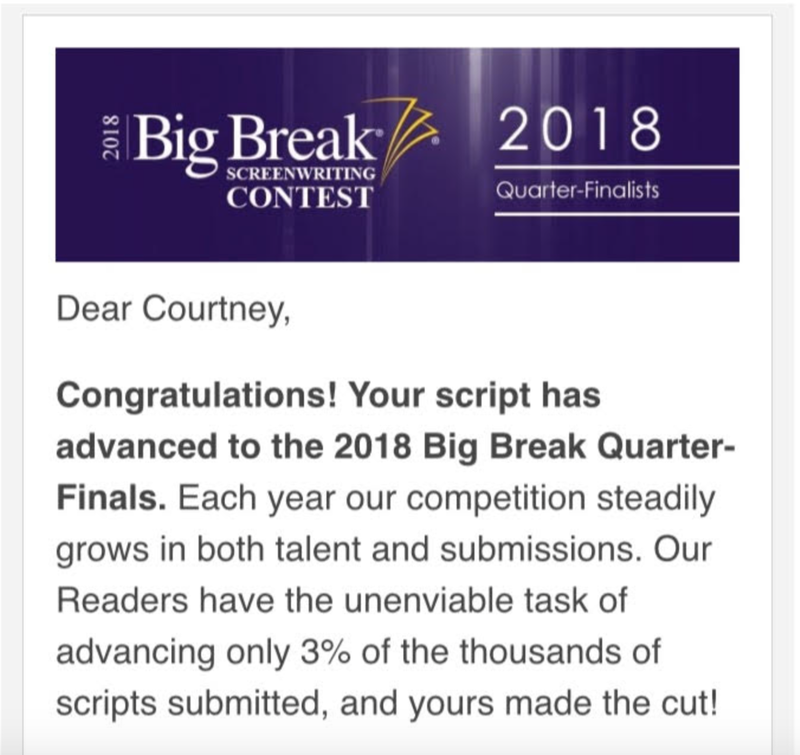 Our script made it to the Big Break Semi-finals (and later, advanced to the finals) of one of the top 5 screenplay contests in the biz! 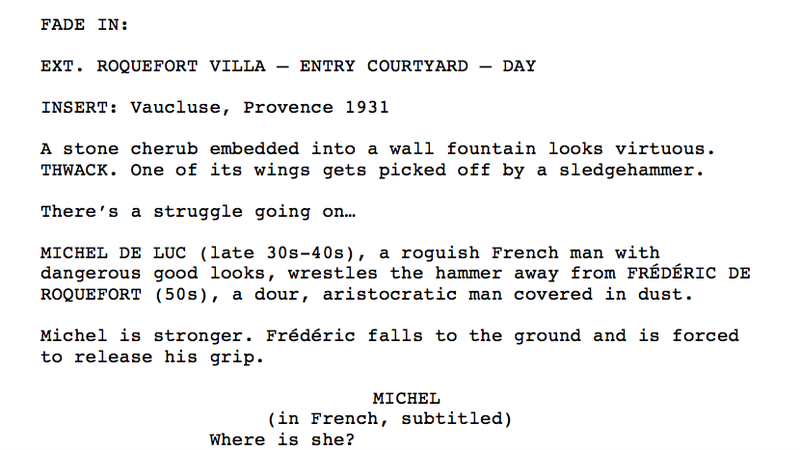 We are thrilled to be named one of their top-10 screenplays in the romantic comedy category.